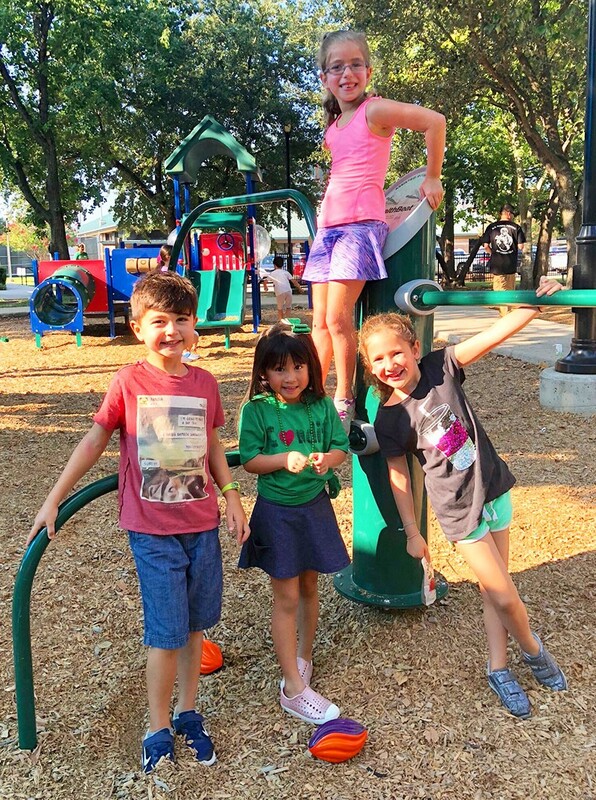 Friends (pictured, from left) Samuel Habiby, Madelyn Melville, Sophie Miller (climbing on the play structure) and Chloe Yomtov had a blast at the Condit Kindergarten/1st Grade Back to School Party. Friends (pictured, from left) Samuel Habiby, Madelyn Melville, Sophie Miller (climbing on the play structure) and Chloe Yomtov had a blast at the Condit Kindergarten/1st Grade Back to School Party. Students gathered at Loftin Park two days before school began. Some played football, many climbed the monkey bars and others jumped rope. Everyone enjoyed a donut or two while they chatted with old friends and met some new ones. The event helped get Condit's 2018-19 school year off to a great start.